Lockey Replacement Latch for 2900 Deadbolts. 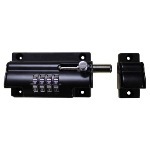 Lockey 2900 Keyless Mechanical Digital Mortised Deadbolt Door Lock For Narrow Stile Doors. Available In Your Choice Of 7 Finishes. 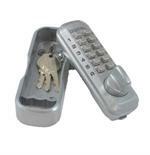 Lockey 2900 MG Keyless Mechanical Digital Mortised Deadbolt Door Lock For Narrow Stile Doors. MADE FOR SALT WATER ENVIRONMENTS. Lockey 2900DC Keyless Mechanical Digital Mortised Deadbolt Double Sided Door Lock For Narrow Stile Doors. Available In Your Choice Of 6 Finishes. 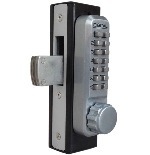 Lockey 2900DC MG Keyless Mechanical Digital Mortised Deadbolt Double Sided Door Lock For Narrow Stile Doors. MADE FOR SALT WATER ENVIRONMENTS.